Measuring 32cm, this plaque has been painted in stunning, vibrant colours and crafted in excellent and intricate detail. If you are looking for something a little different to stock in your gift shop, this is a product that is sure to swim off your shelves. Call us today on 01202 291122 to find out more. Are you looking for something a little different to stock in your gift shop? 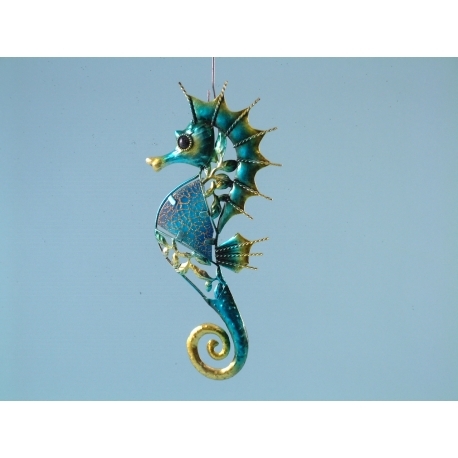 If you are, this metal and glass seahorse plaque is a great option for you. Measuring 32cm, this plaque has been painted in stunning, vibrant colours that will really make an impact on your customers. 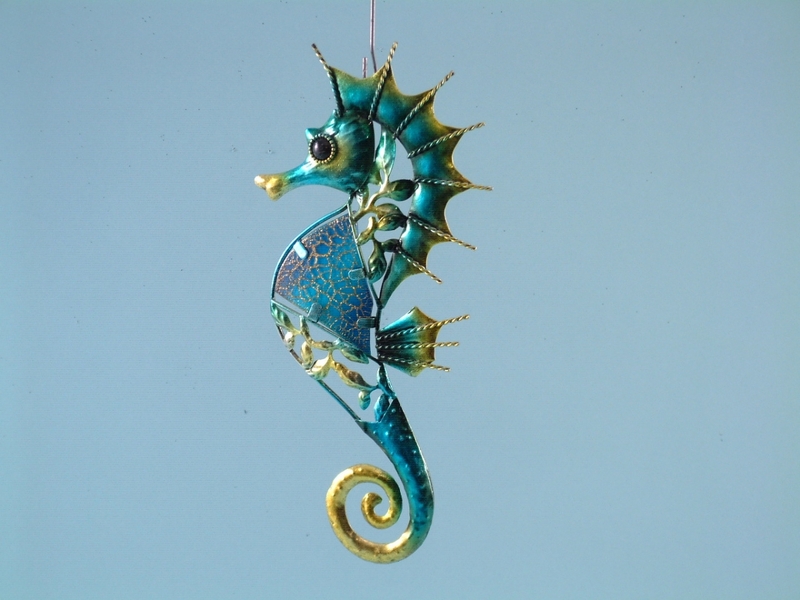 With blue, turquoise, and yellow colouring, this seahorse plaque will add a nautical look to your customers’ homes. Crafted in excellent and intricate detail, from the leaves through the middle to the spines on the fins, this is a product that is sure to swim off your shelves into customers’ homes.